Rosewood Mayakoba — recently named in the top 25 hotels in the world by TripAdvisor — is a stand-out resort within a multitude of exceptional getaways in Playa del Carmen. So, how does it stand out when the competition is so high? Here’s a look at what makes Rosewood Mayakoba so special. 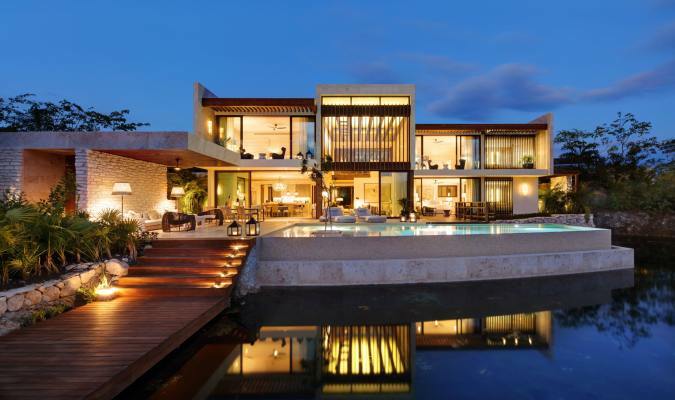 Rosewood Mayakoba sets a new high for luxury living. Their private residences and 129 suites offer an unforgettable stay in one of the most beautiful settings in all of Mexico. Rosewood Mayakoba’s private residences offer a luxury villa rental experience, but with all the facilities you would expect from a resort stay. Visitors can choose between two-, three-, and four-bedroom getaways, which can house up to 10 people. Guests have a choice between several different villa styles — with names such as Coral, Cenote, and Manglar —and each comes with well-appointed furnishings, large indoor and outdoor living spaces, private swimming pools, fully-equipped kitchens, dining rooms, and more. Visitors can also enjoy sublime extras including in-villa continental breakfasts, round-trip airport transfers, private butler services, a reserved beach cabana, in-villa cooking classes, fresh fruit and water replenished daily, and a private EcoTour by boat. But the difference comes in the detail. Rosewood has managed to create a home away from home with their private residences by taking care of every element. With everything taken care of, guests are free to take advantage of the many incredible facilities the wider resort offers. Read more about the latest additions to the private residences at Rosewood Mayakoba. Visitors can also choose from a variety of magnificent suites, each with their own unique ambiance. The lagoon suites overlook the resort’s stunning waterways, providing a peaceful setting for a Playa del Carmen vacation. With expansive interiors, bespoke furnishings, and private terraces, relaxation is all but guaranteed. Added amenities include rain showers, private plunge pools, and private boat docks. The ocean view suites, as the name suggests, offer glorious views over the Caribbean Sea. Each comes with their own second-floor private plunge pool and sunbeds. Guests will be in awe of the glittering vistas this ideal location offers. The beachfront suites offer direct access to the white-sand beaches and aquamarine seas. Aside from this ideal spot, amenities include a gorgeous soaking tub and a private exterior shower. Finally, the signature suites offer expansive living areas for larger parties. Choose from a lagoon or beachfront suite, each with more than 3,000 square feet of space. They each come with three “oversized” bedrooms housing six to eight people. Additional amenities include a large living area, dining areas, and outdoor terraces. Bursting with creativity and panache, Rosewood Mayakoba’s food and drink offerings are an outstanding tribute to contemporary Mexican cooking. Guests have the option of five different eateries each with their own unique style and personality. 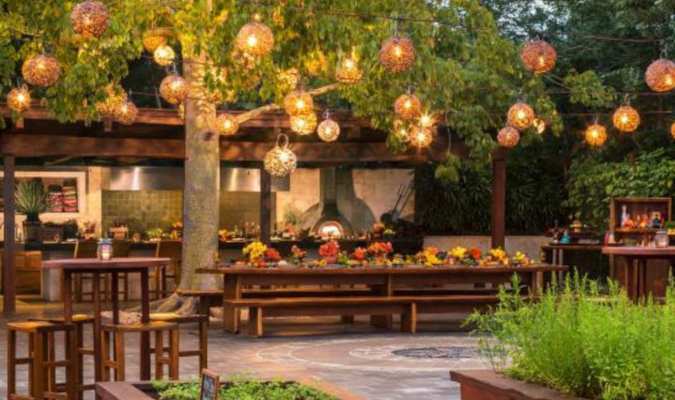 La Ceiba Garden & Kitchen, for example, offers the chance to experience a contemporary Mexican menu created from traditional Maya cooking techniques. As glorious as that might sound, it’s only the start of the adventure. Guests are invited to take part in cooking demonstrations, tastings, and even to forage for their own produce. Dinner is then served on an 18-person communal table under the boughs of a mighty ceiba tree. Sense, A Rosewood Spa is nestled within tropical jungle on its own private island — a spectacular spot for a spiritual and physical rejuvenation. Guests can choose from an assortment of luxury treatments many of which are based on ancient Maya healing practices. Beauty treatments including salon and waxing and essential skin care are also available. But while most spas will leave you feeling relaxed (a good massage is normally enough to do that) not too many offer a “personal, life-changing journey of self-acceptance and self-love”. Rosewood Mayakoba’s Marry Oneself Journey is a true spiritual awakening led by the resort’s resident shaman. Guests are taken on a four-step transformative experience which starts with a shaman encounter and ends with the Marry Oneself Ceremony. 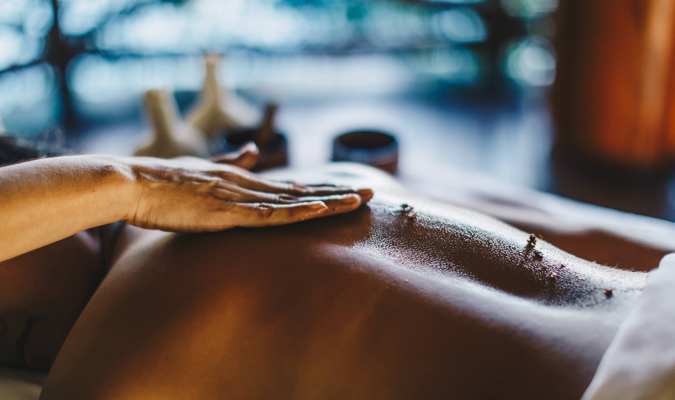 It’s a four-day itinerary of programmed rituals and spa treatments, which will leave you in doubt as to why the spa is among the very best in Mexico. 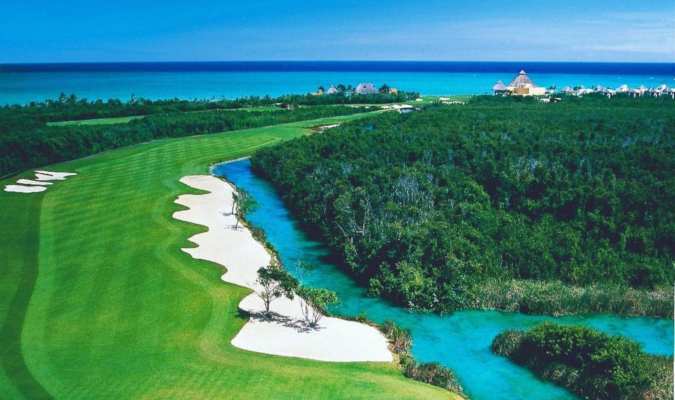 Golf fans will no doubt already be aware of El Camaleón, the first course in Mexico to host an official PGA Tour event. But for the rest of us, it suffices to say, that’s a very big deal. The 7,000-yard, 18-hole course sits in the wider resort snaking its way through the tropical jungles, thick mangroves, and ocean-front stretches. If you’re thinking of making your way around, but not sure you’re quite up to scratch, the Jim Mclean Golf School is the top teaching facility in Mexico. Selected trainers work with the latest JC Video Swing Analysis to improve your hack swing. Now you’ve seen what sets Rosewood Mayakoba apart from the rest, it’s time to experience it for yourself. Speak to one of our expert travel planners and get your adventure underway today.